Kothaligad (also called Kotligad or Kothligad or Peth) is a small Fort (3100 ft) is situated to the east of Karjat near Karjat-Murbad Road. Peth is a great place to trek near Mumbai. There is a small temple and large cave at the base and a chimney like tunnel to the top of the fort. This pinnacle is carved from inside forming a staircase reaching the top. A highly recommended place for adventure seekers & travelers. 09:30 hrs – Start the trek after a brief introduction session. 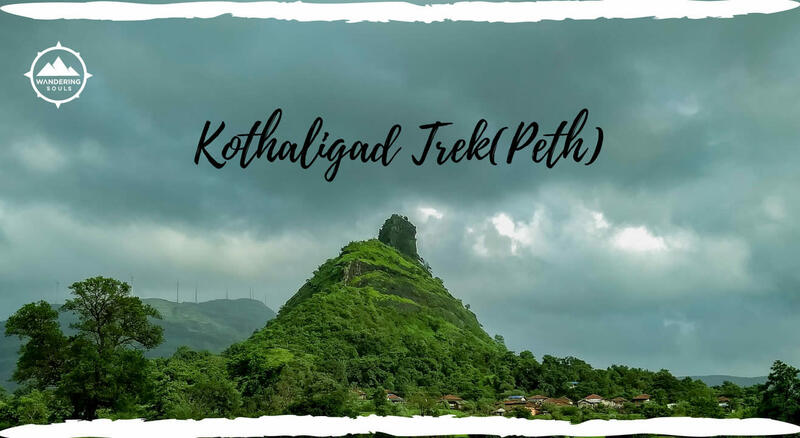 Enroute enjoy the mesmerizing view of the Kothaligad fort and its surroundings. 16:30 hrs – Reach Ambivali, say your goodbyes with a promise to meet again. Leave for Neral in our transfer vehicle. This brings us to the end of the trip, or rather just the beginning.